Battlefield 5? Yawn, give me a sequel to Battlefield Bad Company 2 instead! This year’s big announcement from EA was for Battlefield: Hardline, a game that so far only Gavin and myself are actually keen on playing. But we’re both in agreement that a new Bad Company game is needed right now. And DICE is also aware of that fan demand. They just can’t figure out why though. “We hear those comments as well and see them,” DICE boss Karl-Magnus Troedsson told Eurogamer. “There were some people who were saying, ‘why are you building Hardline? 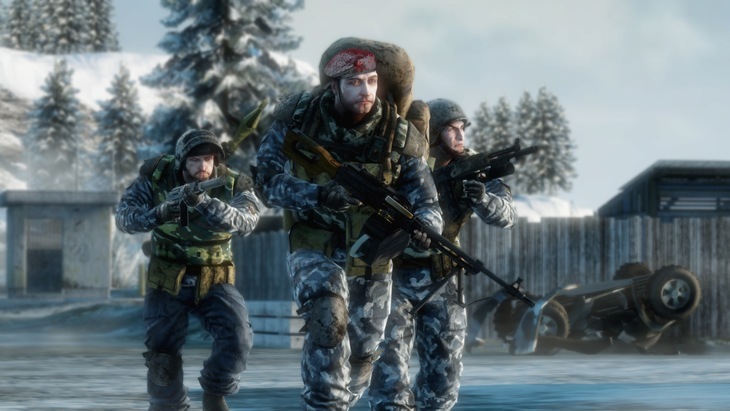 You should build Bad Company 3 instead. '” And DICE is more than willing to make a new Bad Company game. The thing is, they’ve got no idea what made the original two games so popular in the first place. We take all this into account when we think about the future, and do franchise strategy. 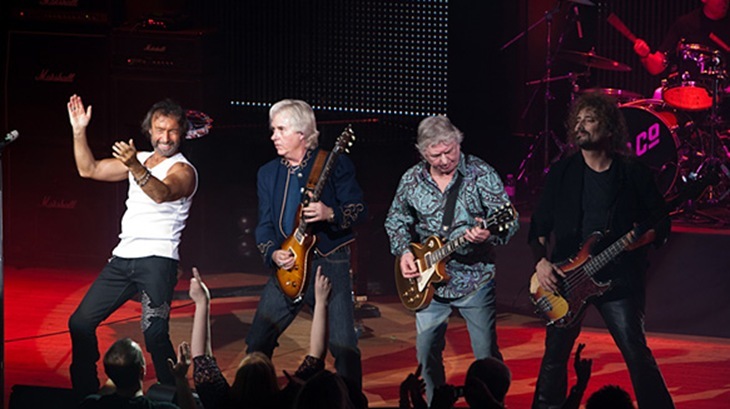 But there’s one thing that lingers with Bad Company that we’ve been asking ourselves: what is it that the people really liked about Bad Company? 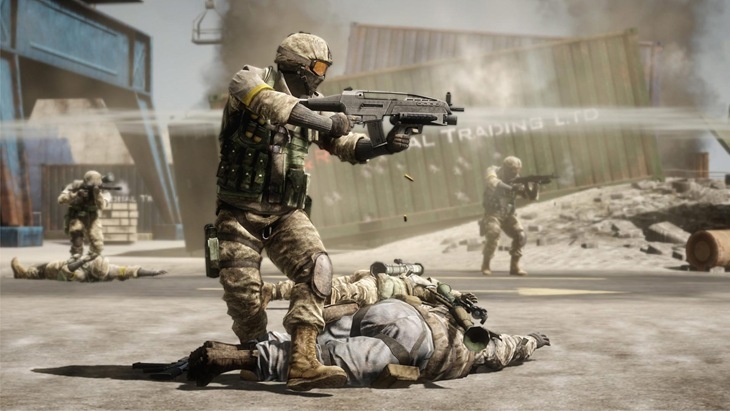 The first Battlefield: Bad Company game was released way back in the medieval age of 2008 for the PlayStation 3 and Xbox 360, with a sequel arriving in 2010. Both games were successful in a financial and critical sense, thanks to a strong single and multiplayer offering. Since 2010 however? Preston, Sarge, Haggard and Sweetwater have been rather silent. And as Troedsson mentioned, that radio silence is all due to DICE wanting to discover what made the original games so popular. “Some people say they found the multiplayer controls faster and more direct,” Troedsson explained. Some people liked the single-player and the characters and the humour. People love different things about it. It’s starting to almost get to that place where, if we were to make a sequel to Bad Company, what would than even imply? It’s scary to go back and try to remake an old fan favourite when actually no-one can really put their finger on what it is people love. Bringing back the characters and creating a great single-player out of that, sure, I can understand that. But some people say this: the Bad Company 2 multiplayer is the best you’ve ever done. Okay, why is that? It’s hard for people to articulate what that is, which is actually hard for us. It would be hard to remake something like that. Can we do it? Of course. We have our theories when it comes to the multiplayer. The Bad Company sub brand is something we hold very near and dear. We’ll take that into account when we think about the future. It’s never dead. You can always revive it, as with any TV series, movie or IP. It’s going to come down to, if people really want it and if a team inside my group really wants to build it, then sure. I can easily explain why I found Bad Company and its sequel to be so enjoyable. It was a solid game, with a great (If clichéd) cast of soldiers. Coupled with some fantastic visual technology and some truly magnificent audio, the game was a fantastic alternative to Call of Duty, thanks to some savvy release timing that took advantage of an emptier month, instead of being released during the October/November glut. Previous article Midweek Mouth-Off: Childhood reboot approved! Next article These 20 new images for TRANSFORMERS: AGE OF EXTINCTION contain a fire-breathing robot dinosaur!